Restorative Yoga is the practice of placing the body into a specific Yoga asana (posture) using the support of props such as bolsters, pillows, blocks, blankets, or chairs. These gentle asanas literally hold and maintain the position of the body as one releases mental and physical tension. In this supported state, the asana can be held for a significantly longer period of time, which facilitates a state of deeper relaxation. This extended duration allows the innate intelligence of the body to reintegrate the system to its natural state of balance and peace as the tension dissolves and melts away. 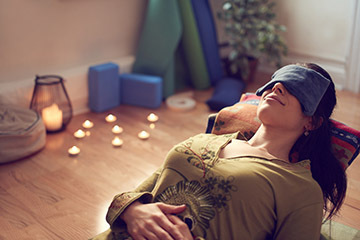 The Restorative Yoga poses may be offered as an alternative to regular asanas, when one is low in energy, during times of mental or physical stress, as well as during a time of physical illness, healing, or crisis. The supported poses enable one to receive the benefit of the asana without exerting muscular effort. All props will be supplied for your use and practice during the course. 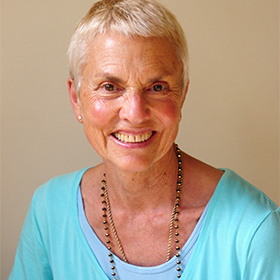 200-hour Integral Yoga® Hatha Teacher Training Certification or the equivalent. Students certified in other Yoga traditions will be considered on an individual basis. Experienced Yoga students interested in deepening their understanding and experience of Restorative Yoga may also apply to be considered. Yoga Alliance (YA): Approximately 50 contact hours. You will be certified to teach Restorative Yoga after completing Part 1. Certification in Restorative Yoga is received for completing each segment. Each part may be taken individually for approximately 50 hours towards RYT 500-hour certification. Both parts must be completed to apply towards Integral Yoga Therapy 800-hour certification.